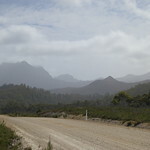 Sumac Lookout is a view over the Arthur River in northwest Tasmania, Australia. 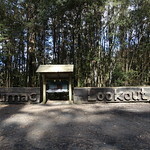 Sumac Lookout was on Sumac Road. 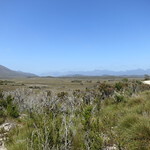 It was about 1.7 kilometres from Kanunnah Bridge over the Arthur River, and 7.3 kilometres from the Julius River car park (which is also where the nearest toilets were). 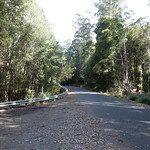 Sumac Road was sealed here, as was the entire main road for the Tarkine Drive. 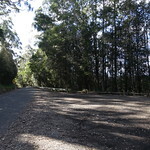 The car park was a wide expanse of asphalt on the northeast side of Sumac Road. 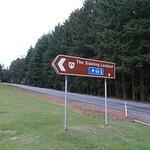 A large carved wooden sign made it difficult to miss. 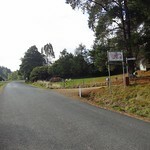 The road was otherwise narrow, and drivers who missed the car park could have difficulty turning around. 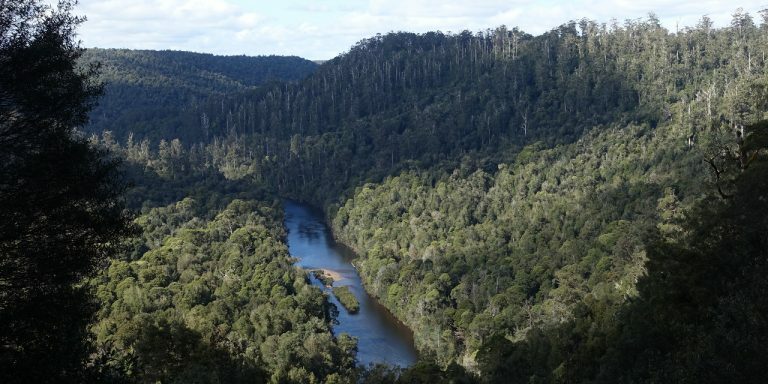 Tasmania’s Mersey Valley is a pleasant green expanse in the north of the state. 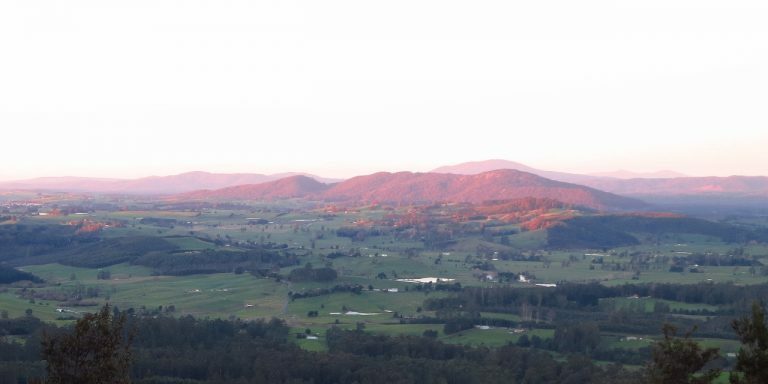 The Mersey Valley Oliver’s Road Scenic Lookout offers views from the western end of the valley. 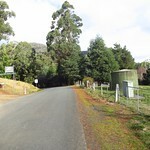 The lookout was, helpfully enough, on the side of Oliver’s Road. 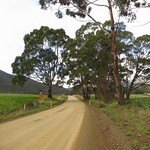 This road was sealed but had many tight bends. 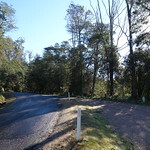 Allow plenty of time for driving along it. 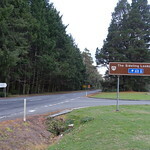 The lookout itself was marked by signs but could be easily missed. Pay attention after driving past the junction to Lemonthyme Road (if travelling south) or Old Gad’s Hill Road (if travelling north). 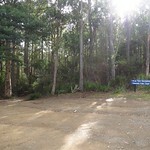 The car park was a patch of gravel next to Oliver’s Road. 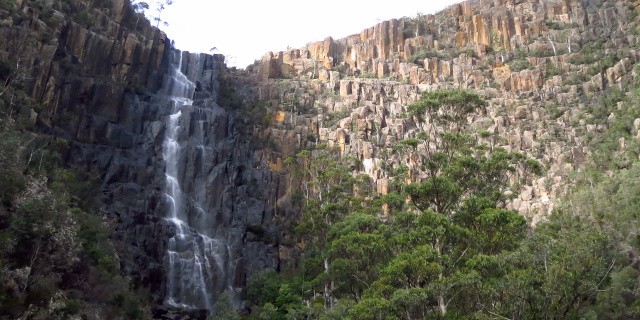 Southwest Tasmania is famous for its rugged landscape. 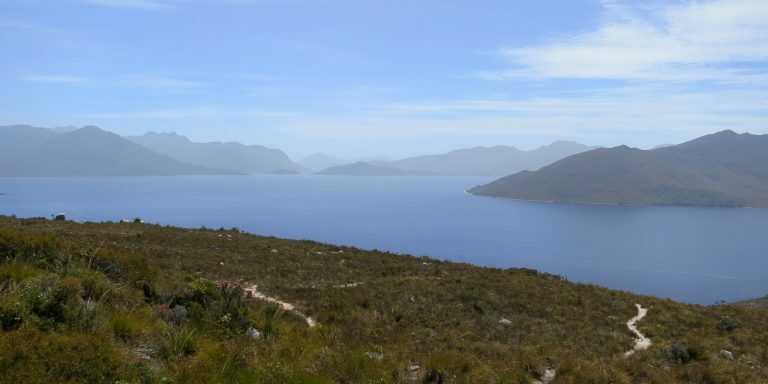 Hardy bushwalkers recommend walking it for days for the best experience, but you can catch a glimpse from your car if you drive to Red Knoll, on the southern edge of Lake Pedder. Red Knoll lies within the Southwest National Park, so visitors will need a current National Parks Pass. As of January 2014, there was no place to buy petrol southwest of the town of Maydena. 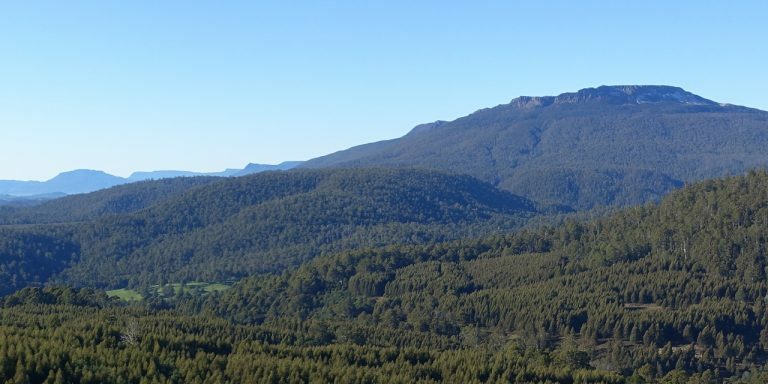 From there, the drive was along Gordon River Road for 31 winding kilometres followed by turn south onto Scotts then a turn onto Scotts Peak Road and 38 kilometres from there. 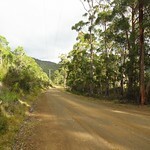 All of these roads were built to admit construction vehicles for dams and power stations. They were wide, solid and had smooth bends. 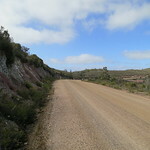 However, the entire length of Scotts Peak Road was unsealed. 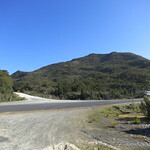 The Tasman Highway connects Hobart to Launceston in a wide loop around Tasmania’s east coast. 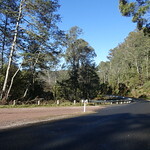 Between Scottsdale and Launceston it winds over the Sideling Range and is called “The Sideling”. 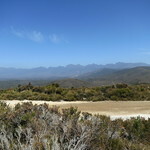 This road is not the easiest to drive, but from the north-east edge of the ridge a car park and lookout offer impressive views over Scottsdale and Mount Stronach. 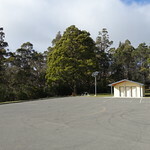 The car park was hard to miss while driving from either direction. 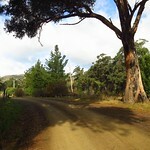 It contained one of the few patches of grass in a road otherwise surrounded by treeferns, plantations or steep drops. It was on the east side of the road, so on the right while driving from Launceston and on the left while driving from Scottsdale.